Clarence Britten (inset) robbed the Saks Off Fifth store while on probation for a felony gun charge, police say. 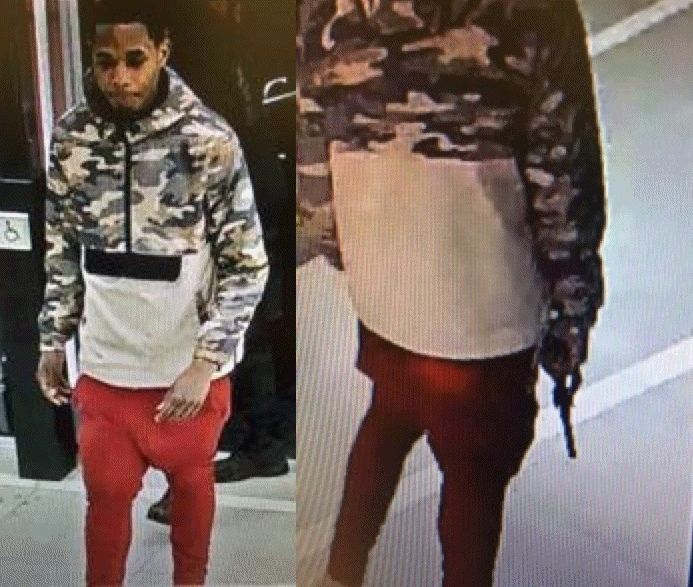 An Englewood man who’s on probation for illegally brandishing firearms inside a Loop Chick-fil-A has been charged with last week's armed robbery of Saks Off 5th, 6 South State Street. Clarence Britten, 20, pulled out a black revolver to ward off store security during a February 18 heist that earned him two pairs of sunglasses, prosecutors say. Cops arrested Britten last Friday after he was identified in a photo array. Surveillance images that store security officers say show Britten entering Saks on Fifth and, later, holding a firearm. He’s charged with Class X felony armed robbery and misdemeanor retail theft. Judge Sophia Atcherson ordered him held without bail. Police said surveillance video showed Britten enter the restaurant with a leather bag containing two handguns. At some point, he took one of the guns out, placed it in his waistband, and said “I’m going to hurt somebody outside,” according to prosecutors. Prosecutors charged him with two felony counts of unlawful use of a loaded weapon and misdemeanor counts of criminal damage, trespassing, reckless conduct, and possessing ammunition and a firearm without a Firearms Owner ID card. On the lighter side, sheriff's department records note that Britten's neck sports a tattoo of “Jimmy Neutron holding a gun accompanied by the words 'Gotta Blast.'"